As a follow up to the previous blogs, Part 1 and Part 2, here comes the final of the series! Starting out strong with the most devastating species of termites in Brisbane and ending with the least harmful. 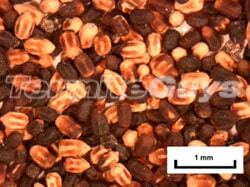 This time the focus is on Cryptotermes primus, one of the Native Drywood Termites, and Microcerotermes. On a side note: there are a lot of different termite species in Brisbane, and the world, and we are only investigating the very tip of the iceberg here. Worldwide there are at least 2000 different termite species, about 350 of these are found in Australia. The genus Microcerotermes is a subterranean termite. They have a taste for weathered and decaying wood. Microcerotermes has a particular liking for poles, fencing and posts as these are in contact with the ground. These termites work slowly, thus, they are often noticed well ahead of any major damage. They seem to enjoy cardboard linings covering gyprock. This collection of termite species build all sorts of nests. They may nest in trees, in small mounds, underground or even on the top of posts. Their nests’ outer layer is quite thin and easy to rupture. 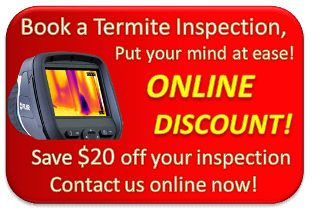 Microcerotermes are the most visually noticeable type of termite in the Brisbane area. Like Nasutitermes they build arboreal nests, but these ones are much more rough in appearance. The nest usually has stalaktite like bits on the bottom, while the sides and top are bumpy. What treatment the technician decides to go with depends on what type of nest he/she finds. Mounds are usually removed, and the soil around where the mound was is sprayed with a termiticide. We use Termidor for this. If the nest is within a post or a tree trunk the area will be probed and flooded with the termiticide. Even though Microcerotermes is not the most damaging termite, we have noticed that sometimes more harmful species of termites follow right in the tracks of Microcerotermes. Sometimes the invasive species even takes over the nest! Consider this: if Microcerotermes can find their way into your home in full visibility; that usually means other species have an even easier time to get in as they have more hidden entryways. Due to these circumstances we at Termite Guys Brisbane always opt for a Termite Barrier Treatment as a step towards a full protection. 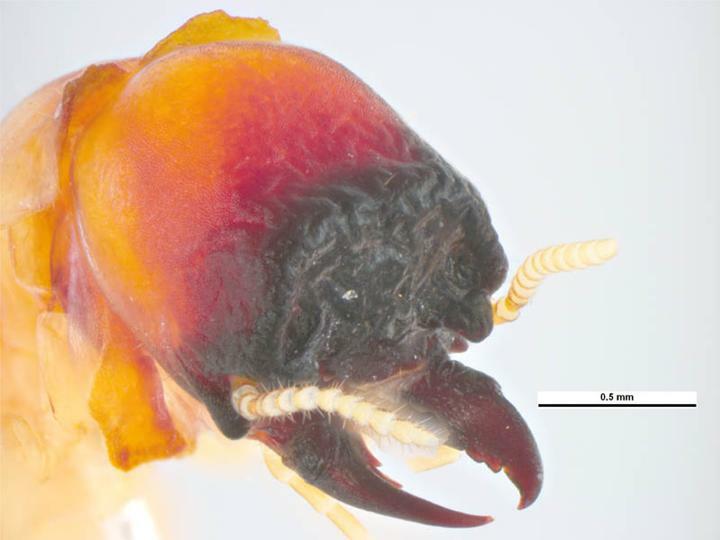 Cryptotermes primus – soldier. Source. This is a native drywood termite and quite common in the Brisbane area. It attacks dead wood and timber in service. But unlike the West Indian Drywood Termite, Cryptotermes primus is not a great threat to your home. The colonies are small with up to 200 individuals and less than 10 soldiers. Usually they attack house stumps, flooring, skirting boards, beams and fence posts. 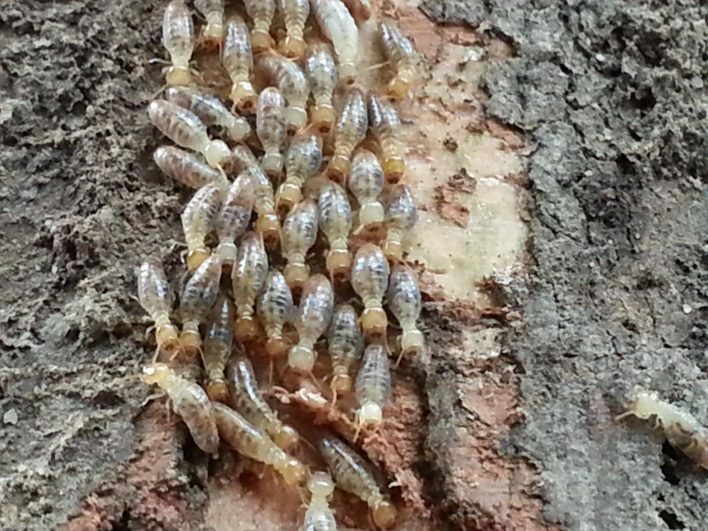 Sometimes this native drywood termite enters homes through emergency exits made by the Queensland pine beetle. So if you have hoop pine floors with traces of this beetle your home may be susceptible to the native drywood termite. 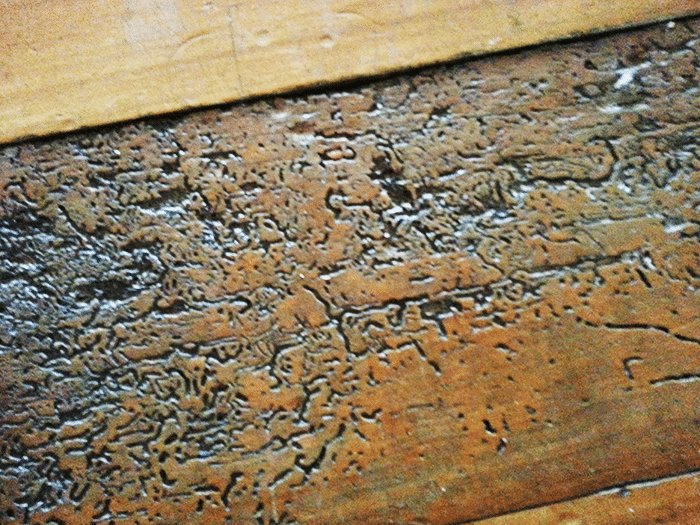 Traces of Queensland Pine Beetle in Hoop Pine floor boards. The issue with Cryptotermes and other drywood termites is that you cannot use the protection of a barrier treatment against them. They do not come into your home through the soil, they come flying into your home or within furniture and any type of wooden product you bring into your home. It is wise to closely investigate any new timber product you put into your home. Is there any small pinholes in the wood? Does it sound hollow when tapping it? Carpenter ants or drywood termites? Drywood termites such as Cryptotermes leave traces behind. The droppings, also known as frass is the easiest way to determine if they are from termites or carpenter ants. If you put some of the droppings between two fingers and roll them back and forth you will know. Ant droppings will disintegrate and turn into dust, whilst termite frass will remain hard and keep its distinct shape. Carpenter ants are no threat to your home as they do not consume wood. They remove damaged wood to create a hollow nest for themselves. They may appear wherever there has been a leak which has made the wood rot. If you find them a good idea would be to inspect the wood and maybe replace it if it is in a bad condition. However these ants are not a danger to your home as termites are. West Indian Drywood Termites and the Diseases in Timber Act 1975. If you think you may have drywood termites, such as the Cryprotermes, in your home it is very important to have a pest controller investigate. As drywood termites are so difficult to classify you have to have a professional investigate, and keep in mind that the The West Indian drywood termite is a notifiable disease under the Diseases in Timber Act 1975. Treatment of this pest is presently supervised and performed by the government, without cost to the homeowner. Something known as tent fumigation is used to eradicate the termite. The strict specifications and government supervision ensures the high standards are maintained. This is the final piece on our most common termite species Termite Guys Brisbane encounters on a day to day basis. Michael is incredibly knowledgeable when it comes to termites and he can answer any of your questions. Most of the termites that cause destruction and damage to homes in the Brisbane region are subterranean, but we do also have invasive drywood termites which are a great threat. It is easy to protect your home against subterranean termites if you install a chemical termite barrier. Dampwood termites only occur where there is lots of moisture and if you make sure to prevent any leaking taps they will cause you no problem. Drywood termites on the other hand are always suspicious. As the introduced West Indian Drywood Termite may cause massive destruction and no termite barrier can protect you from them either, any sign of them needs to be investigated by a professional. Although, luckily they are very rare and the government will treat your home without charge if they are found. Call and email us for a free quote on Barrier treatments, or if you have any termite related question at all.